The Ravelry Project Bag Winner is….. 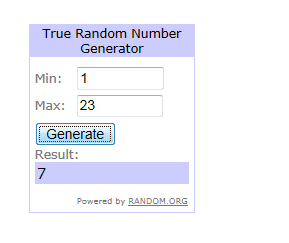 Number 7 is Kate B! Please email me at iknit2purl2@gmail.com with your name and address and I will mail the bag to you! Congratulations Kate B! And thank you to everyone for participating!